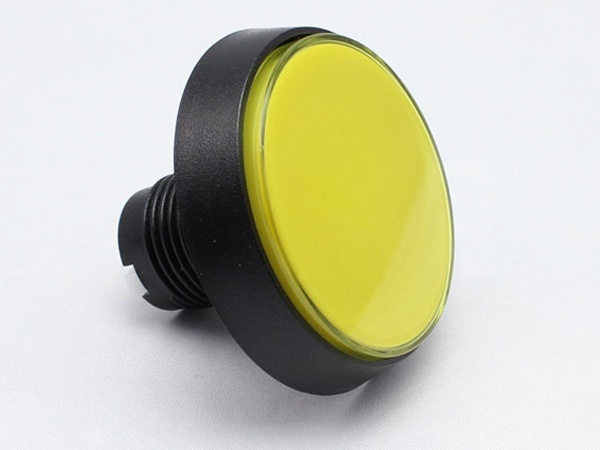 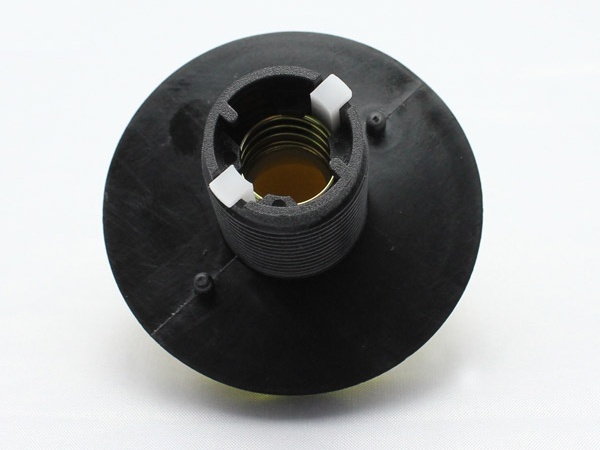 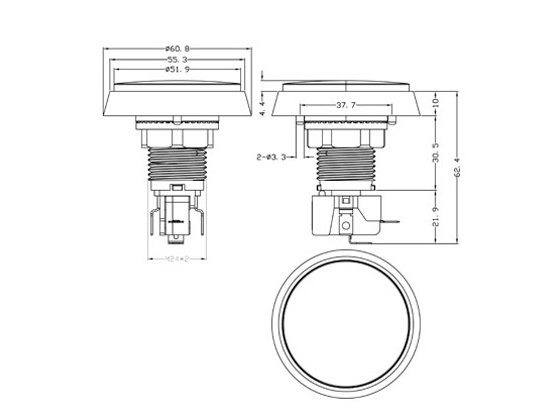 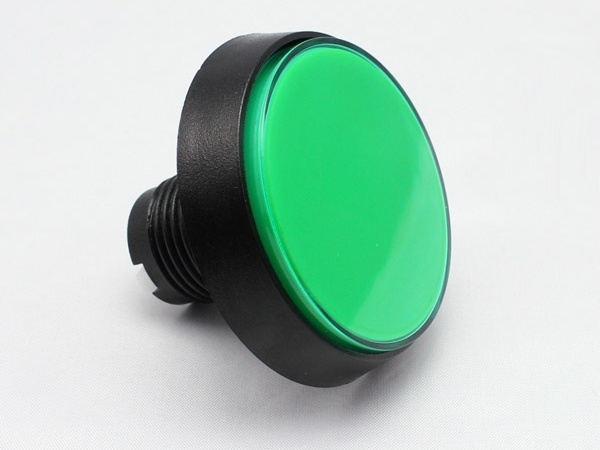 This is a 60mm round pushbutton, with a slightly domed top and a raised black bezel. 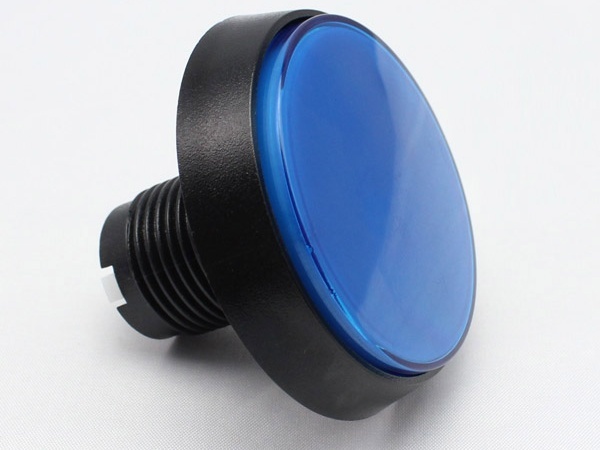 The plunger of these buttons can be disassembled for a label to be inserted under the transparent cover. 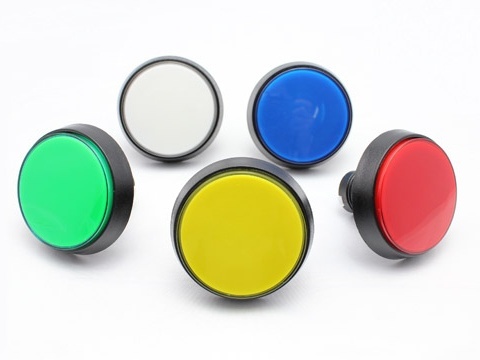 They are great to use where you require a big “in your face” button and they are identical to the Launch Buttons used on many modern pinball machines.